Minna Technology Meet up is forum put together to support individuals hoping to start a career in ICT and passionate about technology, create a networking environment for like minds in technology to discuss peculiar challenges while preferring solution for the society at large. 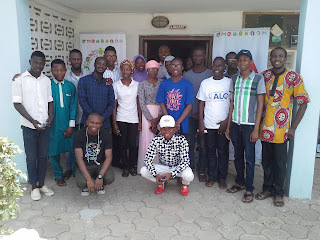 This event is scheduled to hold at least once a month and organized by Nnamdi Okoro with support from Niger State Book and other Intellectual Resource Development Agency, Google Developer Group, Minna and well-wishers. 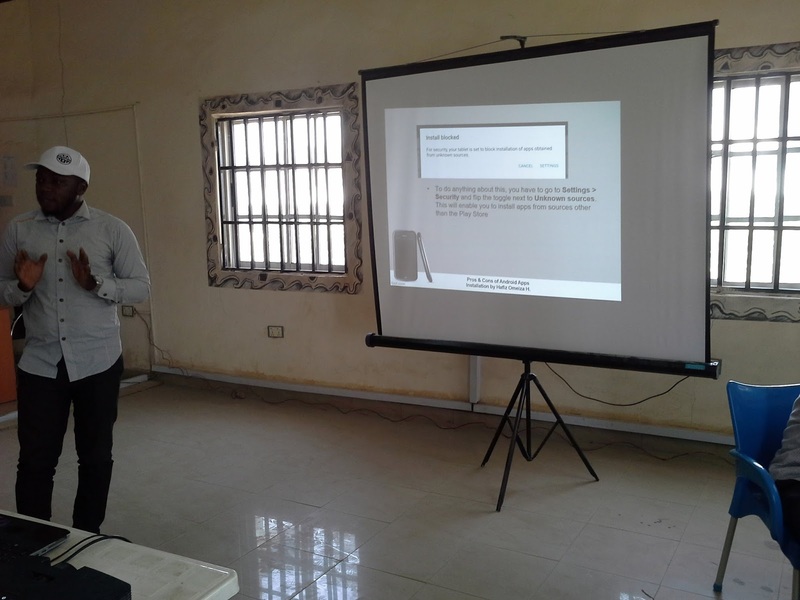 The sixth edition tagged 'Your Online Security is serious business' held on 17 Saturday, 2018 and was borne out of the need to raise the awareness of the value of data been transferred on or with communication channels. 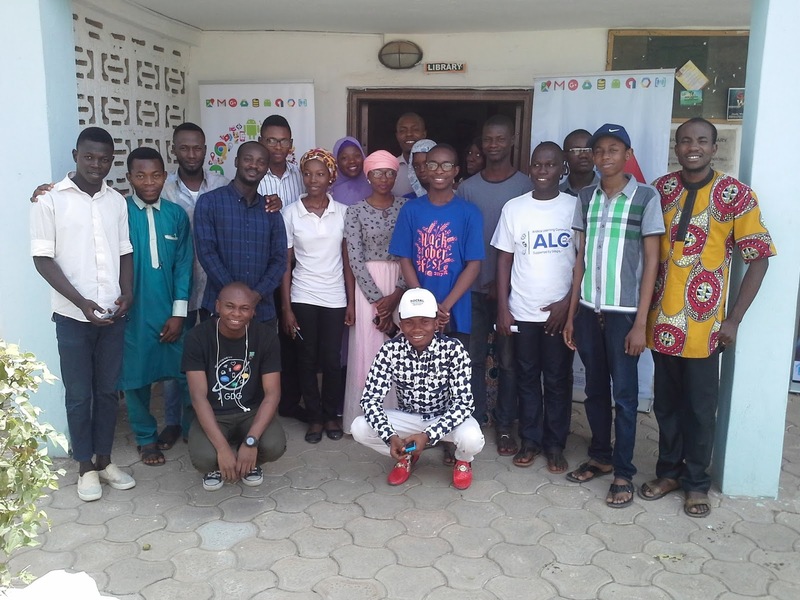 As part of activities lined up for this edition, some great minds exhibited an unfinished work of an operating system that is termed to rival the big players in the industry. It is called Flame Operating System which has almost 'everything' and it is built with the UNIX style of architecture. Security begins with everybody because you cannot predict who would fall victim to some malicious tactics and in recent times, Data has become the new oil owing to priceless benefits the user/consumer tend to possess which is proportional to the objective for such collection. We had three awesome speakers who shared their knowledge on Android Applications: Pros and Cons, Building for Humans: Design Thinking, Future Trends and Information Centrism. 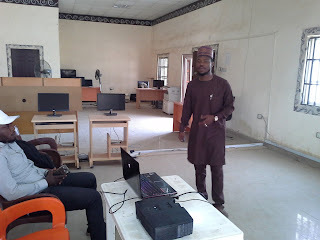 Dr. Ibrahim Abdullahi who is a academician and an I.T Consultant laid the foundation of an awesome experience at the meetup as he spoke about the opportunities yet to be tapped into in information technology, issue of digital currency being a reality in Nigeria, disclosure of a team in a government agency that combat cyber-attacks on Nigeria. Dr. Ibrahim also buttressed the fact that there is a technology that might be a middle man between cloud computing and man called Fog computing and also reminded us that the internet should not be monopolized. He took questions and one of the speakers, Hafiz Haruna who is a stakeholder in the Nigerian financial sector explained the reason why crypto-currency/digital currency might not be as wonderful as it has always been celebrated. Hafiz was of the opinion that, if Nigeria could create a sustainable digital currency of its own, there would be greater chances of acceptability in the society and mitigate the current trend of funding it with foreign currency which does not do a lot of good to us in Nigeria, economy-wise. Hafiz Spoke about the pros and cons of Android Application and disclosed that access to the internet in Nigeria is initiated through our mobile devices at a whooping 79% and puts Nigeria at Number one. This statistics can be a possibility depending on the context and a cause for concern for every owner of such device with application on the android operating system. This concern is borne out of existence of permissions being granted during installation that might lead to siphoning of data about your interaction on internet to some ‘data bank’. These permissions range from reading and writing privileges, a situation where an installed application can 'do and un-do' with or without your notice. 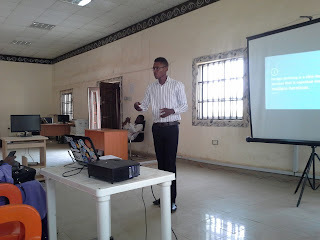 As the event progressed, we were privileged to listen to Bright Emeka, podcaster with The Creative Chronicles and a Graphic Designer bless us with the nitty gritty of creating solutions for humans. The toic was timely amidst the abstraction that happens behind the scene. Bright touched on the basics of never forgetting the human touch, going with conventional styles and as a developer of solution always trying to fit into the shoes of the end user/ consumer . It was enlightening for all that participated in this sixth edition and as we strive to sustain a positive interaction within the tech. 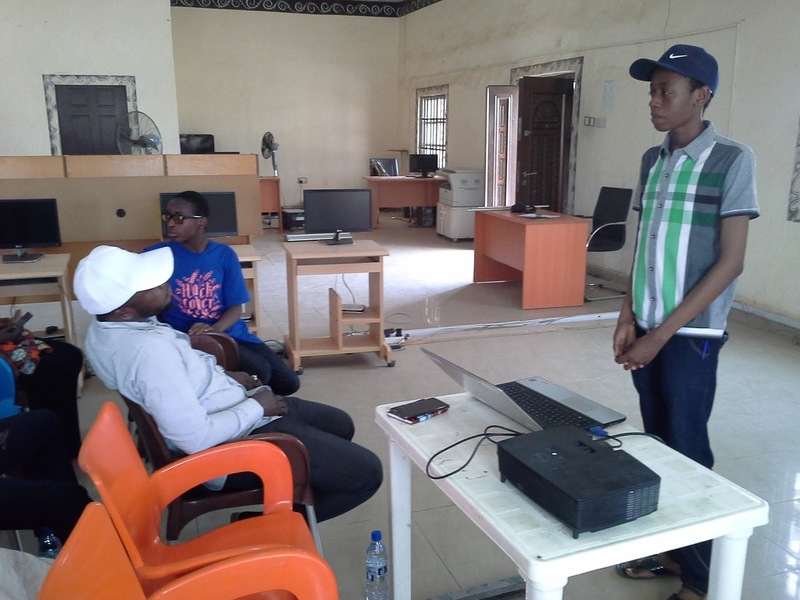 ecosystem in Niger State and its environs, we look forward to collaborations that would improve the tech. space generally. Hope to see you come the third Saturday in March, 2018.